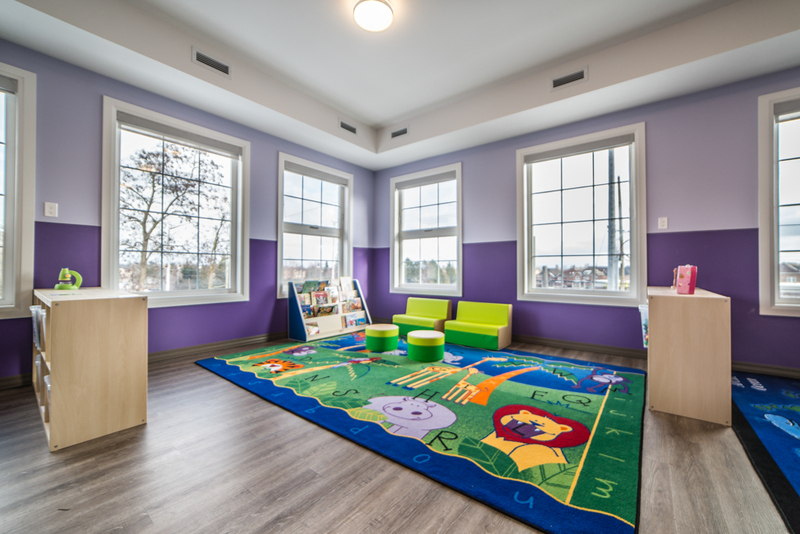 Lullaboo is proud to offer north Brampton with our full range of daycare and preschool services at our Brampton campus. 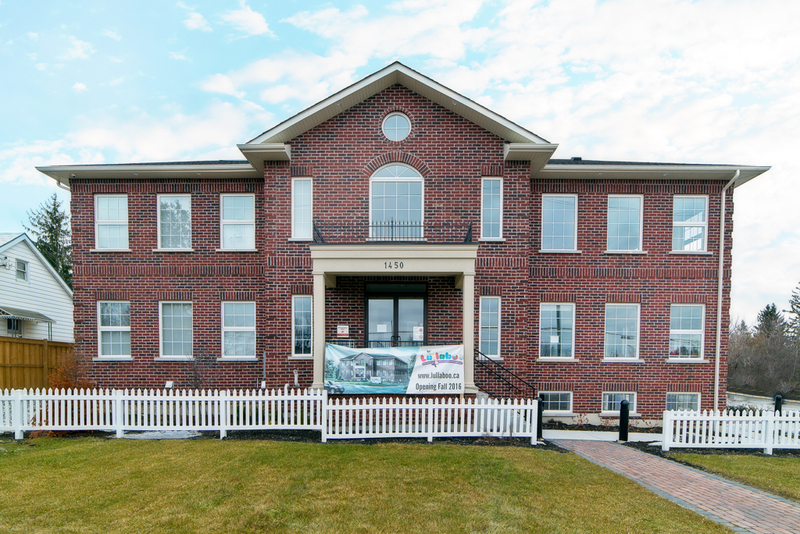 Located at 1450 Queen Street West, we’re conveniently located in a brand new building, making us a convenient and accommodating location for you and your child. Our infant program starts at just six weeks of age, and continues on through 18 months. It’s been specially designed to create a warm and secure environment for infants, serving as an extension of their home environment. We work collaboratively with you to ensure that your child’s daily schedule remains consistent. That includes nap times, play times and feeding times, to ensure there’s as few adjustment problems as possible. We cultivate a loving and nurturing atmosphere, perfect to help infants develop a sense of trust and autonomy. We encourage curiosity and help your child become motivated to learn, all as they grow into an independent person. We have one teacher for every three children, so you can rest assured your infant is getting full, personalized care. Our toddler program includes structured indoor and outdoor activities to help further your child’s development. We foster the growth of self-help skills, language development, social awareness and, most importantly, positive, non-aggressive problem solving skills. Our classrooms provide a stimulating environment, as our teachers work to help your child meet all of their developmental goals. Our teachers encourage a wide variety of play to help your child develop. This includes materials and activities designed to promote problem-solving skills, imagination, reading and writing, gross motor skills, discovery and communication and a sense of space and measurement. With one teacher for every five children, your child will be getting a great deal of hands-on attention throughout the day. 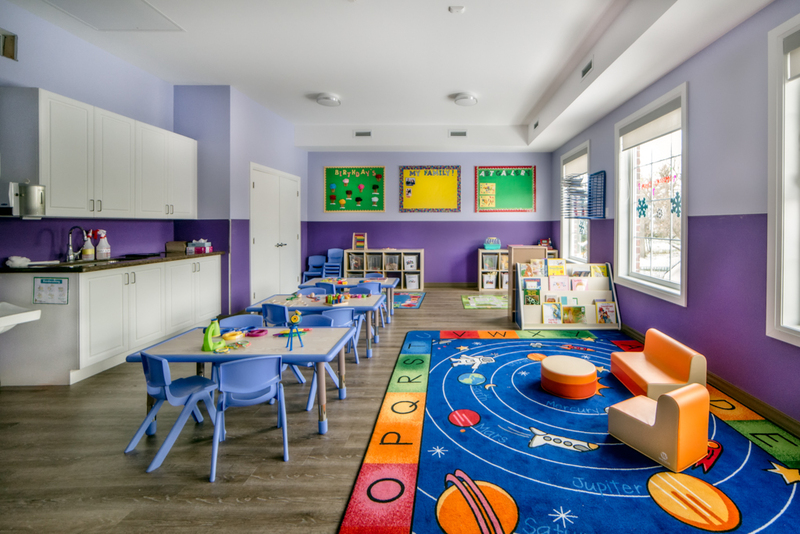 The activities in our learning center include dramatic play, arts and crafts, woodworking, cooking, large and small motor activities, outdoor play and special field trips. Because these activities take place in small, intimate groupings, your child can develop the trust they need to explore the world around them; a sense of security and individuality. With one teacher for every eight children, our preschool program will help give your child the tools they need to succeed in school. Contact us at (289) 298-5370, or email us at brampton@lullaboo.ca for more information!